You probably have a lot to be thankful for, and if you follow a few of these suggestions for good oral health this Thanksgiving, your healthy teeth can be one of them! Nutrition affects oral health more than you might believe, so by remembering to make careful and conscious meal choices all holiday season long, you’ll be heading into the new year with happy and healthy teeth! Consider thinking about healthy Thanksgiving choices in terms of courses for your family, so that you can plan a delicious and healthy feast for all to enjoy, without making any teeth suffer! For appetizers, it’s best to stick with healthy, teeth-friendly options like raw veggies, packed with nutrients and great for naturally fighting plaque, calcium and protein-rich cheeses, or nuts, which contain vital minerals that help to remineralize teeth. By providing healthy snacking options as starters for your family, you’re already setting everyone up to have a great, teeth-friendly Thanksgiving dinner! Whether you prefer juicy drumsticks or tofurkey this Thanksgiving, don’t forget to think about the sides you’ll be serving with your feast! Did you know that some studies show rinsing with healthy oils instead of mouthwash has shown to reduce plaque, and in some cases, even reduces cavities? Instead of changing up your oral health routine amidst all the holiday chaos, try instead sauteing vegetables in sesame oil for a yummy and healthy side dish for Thanksgiving dinner. You could even top the veggies with sesame seeds for an added “wow” factor for your guests! Everyone will love some sweet holiday pears atop serving of yogurt and honey as the perfect light finish to a delicious meal. Sprinkle with cinnamon, and you’ll have a healthy treat for the whole family to enjoy! 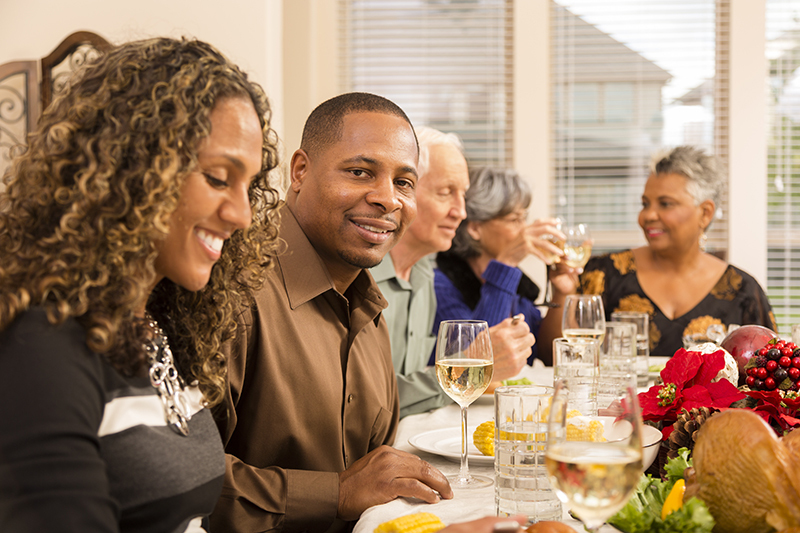 Everyone will be smiling at the end of your Thanksgiving dinner, and the whole family can enjoy a delicious meal that’s great for both your oral and your overall health! For more information about oral care this holiday season, or to schedule your next appointment with Los Altos dentists at Legacy Dental Care, call 650-948-0786 today!